He was added to the Indian team as a replacement for all-rounder Hardik Pandya who has been suspended. 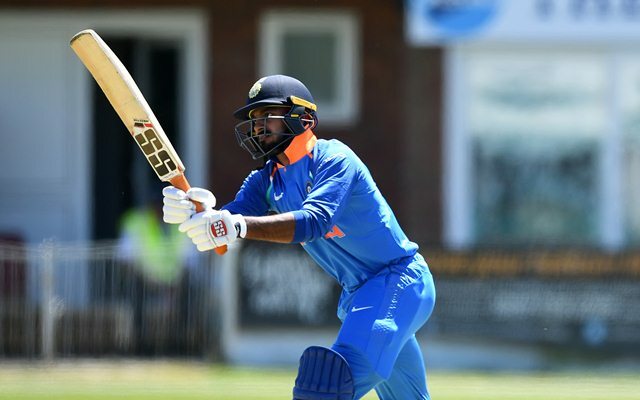 Tamil Nadu all-rounder Vijay Shankar will be joining the Indian cricket team in Australia and New Zealand for the limited-overs tour. He was named the replacement for Hardik Pandya, who has been suspended by the BCCI for his controversial comments on talk show Koffee with Karan. Shankar made his international debut in 2018 in a T20I against Sri Lanka and has since then featured in five T20Is – scored 17 runs and claimed 3 wickets. Although didn’t have the best of starts to his international career, Vijay vastly improved under Rahul Dravid the head coach of India A while on the tour of New Zealand. He has an opportunity to make his ODI debut in either of the series and believes that Dravid’s decision to send him to bat at No 5 in New Zealand helped him improve his game. “I think I have become mentally stronger now and I have full confidence that I can finish close matches. India A tour of New Zealand has helped me understand my game much better,” Shankar was quoted as saying on DNA. “Rahul sir told me one thing that he has faith in my ability to finish games. I think batting at No 5 also suited my game as I was able to close two games and remain unbeaten,” added Shankar. Recently, a lot has been said on Pandya’s future in the game, especially if should be allowed to play the IPL and the World Cup. This could mean that if the 27-year-old does well in the opportunities he gets now, might as well be in line for the quadrennial event. But for now, he does not want to look that far ahead and concentrate on what’s in hand today. “I am not thinking about World Cup and all those things. You can’t play freely if you start thinking like that. I will have to be prepared and if an opportunity to comes along the way, I will have to grab it,” Vijay stated.